The latin scene is slowly getting bigger in Koh Samui and also Koh Phangan. 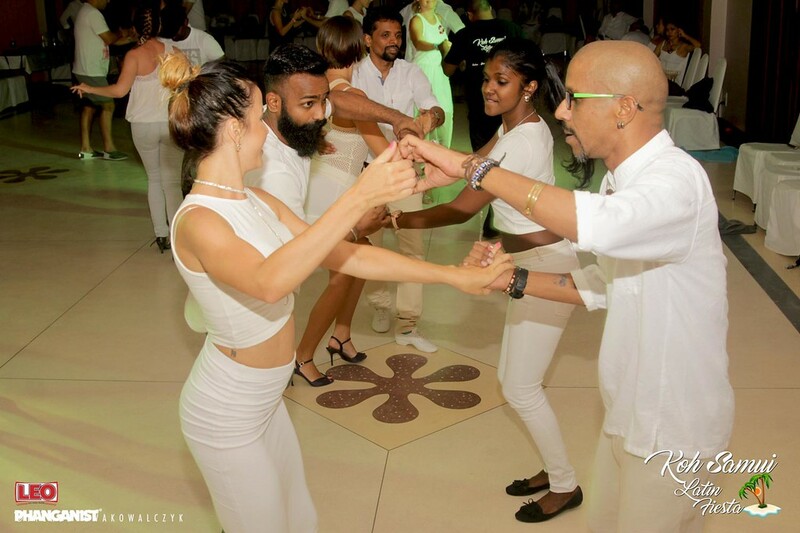 Nowadays there are more options to practice different dances such as salsa, bachata, kizomba, and even tango is an option! 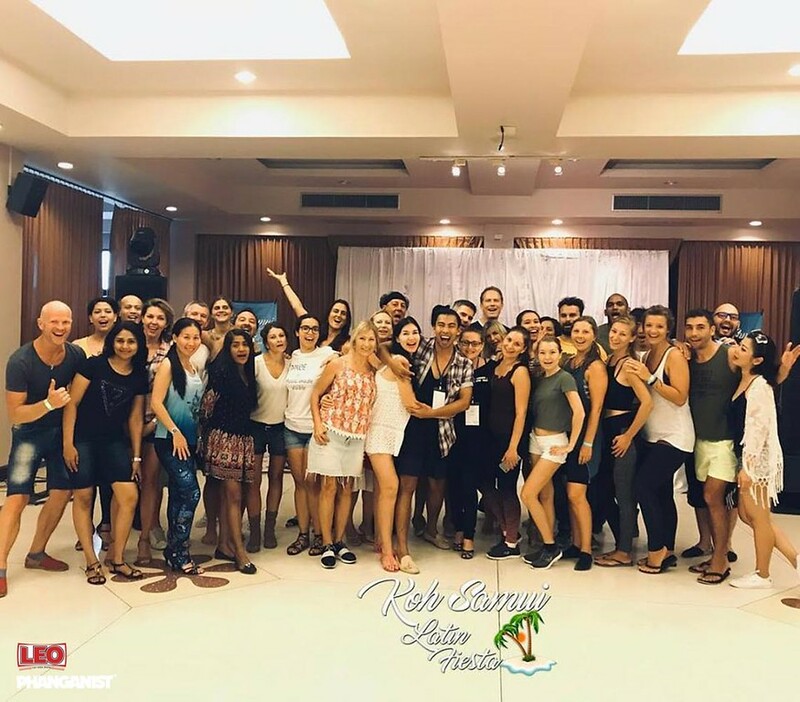 Last weekend, Koh Samui Latin Fiesta 2019 took place in a resort in Chaweng beach. An event that happens once a year, and attracts people people from all over the world with a common passion: dancing. There were 3 days full of bootcamps, workshops, beach party and theme parties at night time. You had the option of getting either the full pass, just party pass, or take the 1 day-pass/1 party-pass. Also, you could pay extra for the Kizomba Bootcamp or Bachata Bootcamp, an intensive 4 hours masterclass with great teachers. During the parties, the DJs were playing a mix quite balanced to keep everyone happy. Some animations, performances, and competition also happened in between. For example, the last night of the festival a Jack and Jill competition was on. In this format of competition, the competing couples are the result of random matching of leaders and followers. Winner took home a full pass to another festival happening in April, ALFA in Kuala Lumpur. Workshop options were also pretty balanced, starting the day with morning yoga for dancers, and then bachata, salsa and kizomba classes for different levels (some beginners and some intermediate). Beach parties were just awesome. Dancing in the sand definitely add an extra challenge, but the whole atmosphere it feels perfect! For me as a first latin festival, it was a really interesting experience, I feel I learnt a lot, and also made some nice friends that I'm sure I'll keep meeting at festivals around the world! 3rd edition of Samui Festival will be next year, January 10-12, so save the date! There are a variety of festivals happening during the next few months also in another countries in Southeast Asia such as Malaysia, Vietnam, Indonesia, etc. And this July will be the first Latin Festival in Koh Phangan. We will have more details later on, but will be for sure something to not miss. "Dance is music made visible" says the t-shirt of Samui Festival 2019.